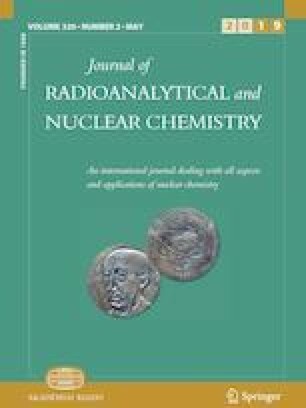 In this study, the amount of 12 elements in five widespread varieties of apples (Malus pumila) used in the Arak markets in Iran (Uromieh golden apple—Maragheh golden apple—Semirom golden apple, Semirom green apple, Semirom red apple) were determined using the instrumental neutron activation analysis method. In this work, the Tehran research reactor was used as a source of thermal neutron flux. The highest concentrations of Cl, K, Mg, Na and Zn were detected in Maragheh golden apple which indicates that from the point of view of nutrition, the best cultivar of studied apples is Maragheh golden apple. The authors thank the research council of Arak University and the Atomic Energy Agency in Iran for the financial support of this study.